DISCLAIMER: This product is for informational purposes and may not have been prepared for legal, engineering or surveying purposes. Users of this information should review or consult the primary data and information sources to ascertain the usability of the information. 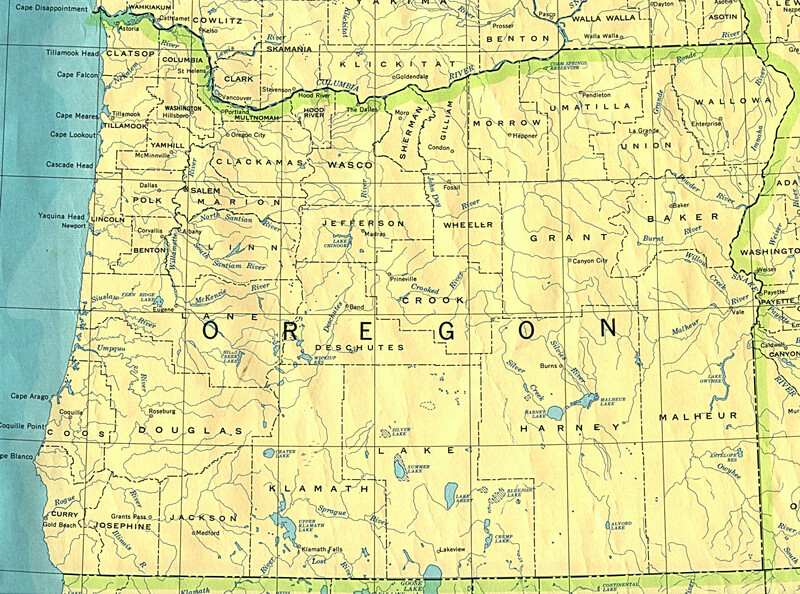 State map of Oregon - Oregon County boundaries and names, county seats, rivers. Shaded Relief Map of Oregon - Shaded relief map with state boundaries, forest cover, place names, major highways. 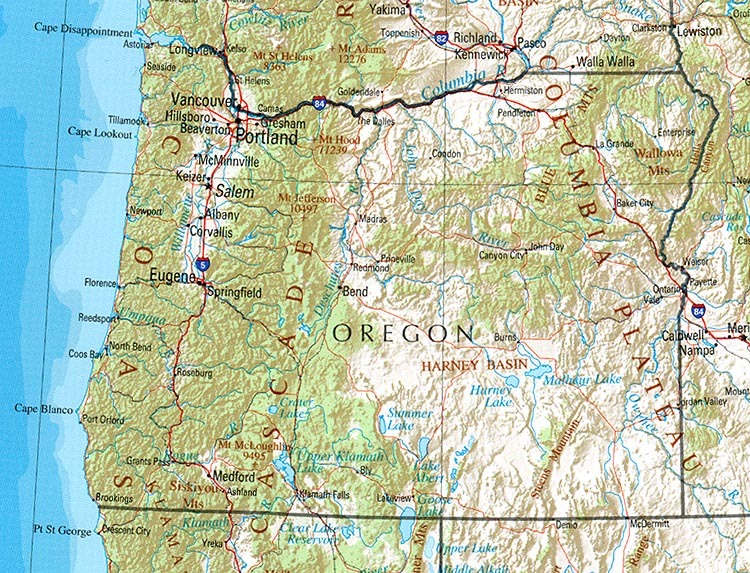 Oregon (reference map) - Shaded relief map with state boundaries, forest cover, place names, major highways. Choose the first letter in the city name. ODOT Tripcheck web site - The Oregon Department of Transportation official webite. ODOT Hotels, Food, and Attractions Map - Interactive map for finding Oregon hotels, food, and attractions. Oregon Coastal Atlas - Oregon Coastal Zone management information. Willamette Explorer - Land and water use issues for the Willamette Valley. North Coast Explorer - North Coast wildlife resource management information, charts, reports, photos, and videos from OSU (Oregon State University). 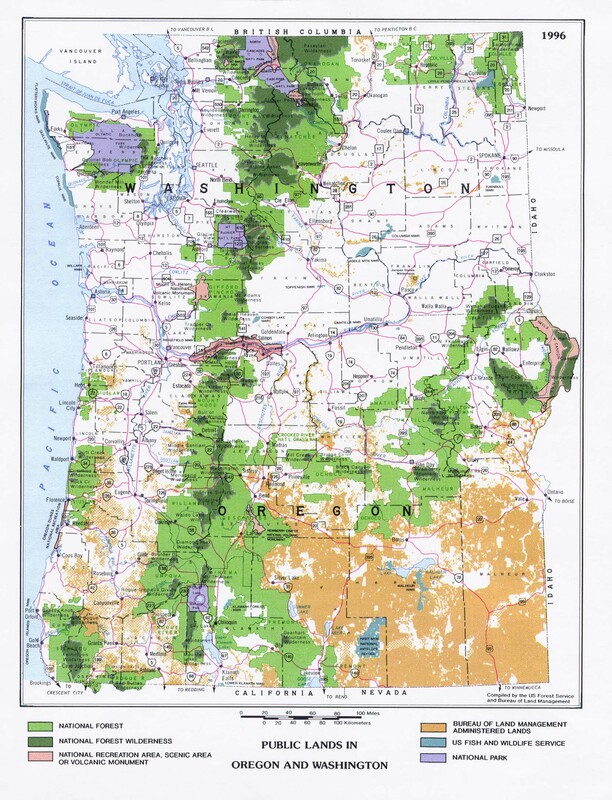 Umpqua Explorer - Umpqua Basin watershed and resource information (OSU). Oregon Geologic Data Compilation Mapserver - digitally compiled geologic data for the entire state. Google Earth Sightseeing - tour of the world as seen from satellite. Oregon State maps - NOTE: Since these maps are too large to efficiently reproduce on this web site as small images, we are offering them as downloadable PDF's which you can view with Acrobat Reader® in your web browser or save to your computer. Please read the individual map descriptions for more information about the map and please note the file size. Our products are for informational purposes only and may not have been prepared for legal, engineering or surveying purposes. Users of this information should review or consult the primary data and information sources to ascertain the usability of the information. Oregon maps, Oregon Map, Oregon Coast map, map of oregon, oregon city maps, Oregon county map, Oregon counties map, relief map of Oregon, Oregon transportation map, Oregon roads map, Oregon highways map, Oregon scenic routes map, Oregon precipitation map, Oregon public lands map, Oregon Trail map, rainfall map, Oregon public lands map, highway, route, road map, Oregon Coast, district, roads and highways map, Oregon trucking maps, scenic maps. i Love Oregon do you? Copyright © 2000-2011 by OregonWebs.com and Brian Morrow. All rights reserved. Thank you for visiting, Tell a Friend!